They say the postman always rings twice. Mirela felt the full weight of this adage. Mothering seven children, two of them with disabilities and most with serious eyesight problems, is no walk in the park. The seven children are aged 10 to 21. The father only visits seldom and does not contribute financially to their upbringing. It is extremely hard for Mirela to raise them on her own and to face all her difficulties: she is an icon of will and strength, optimism and courage. This is one mother whose love for her children has always been above all, it has given her the will to break through, to give her children confidence and support. A new additional problem has come to complete the series: her oldest daughter, a minor, told her that she was pregnant after a brief affair. It was the moment she felt she could no longer face all her problems and she was one step away from abandoning the children. But she didn’t. She found the courage to ask for help and she came, full of hope, to the Hope and Homes for Children Foundation. Carmen Magyari, Hope and Homes for Children social worker, found the family in conditions unimaginable for 2016. 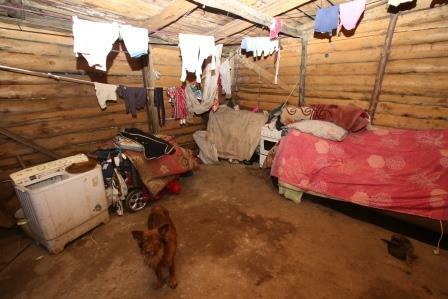 They shared a makeshift home, put together with various spare materials they had collected, on the outskirts of Baia Mare. 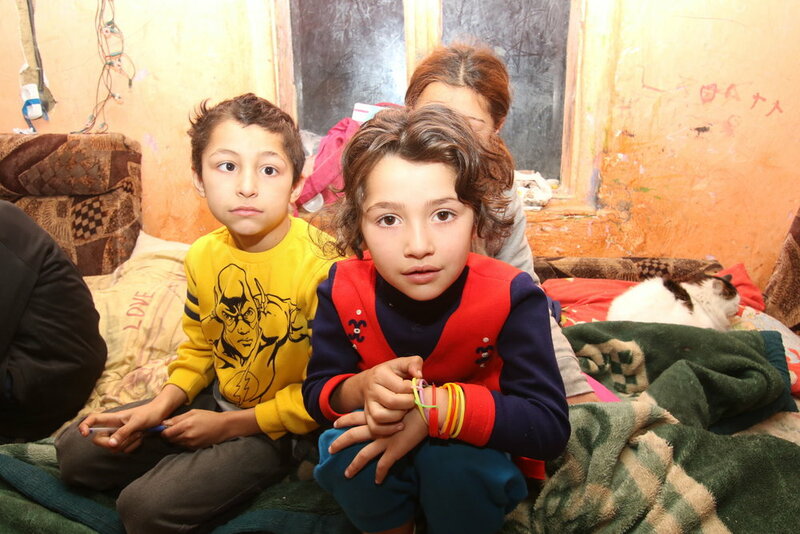 “When I went there to assess the family’s situation, I found the children sitting nicely inside the house, which had only one shabby room. You could smell the humidity in the air, from all the water infiltrations. They had no electricity and no running water. Poverty and sadness – that is what I felt and saw. But in spite of all this, the children wore clean clothes, albeit modest. I was impressed with the mother’s resolution to do something to surpass her problems and I appreciated her not having abandoned her pregnant daughter. She told me that she wanted to help her daughter and raise her granddaughter, but she just couldn’t see a way to make it work anymore. She was worried about having to leave the children home alone, unsupervised, as she was often out and about trying to make ends meet for the day”, Carmen remembers. Mirela’s family was included in the child-family separation prevention programme. The first thing was to provide the family with food and clothing. The mother also received support to have everyone go through a medical check-up, to assess their general health. Most children were diagnosed with various forms of strabismus, and two of the children were included in various disabilities categories. The mother was diagnosed with cerebral edema. They received medication, the cost of which was covered by Hope and Homes for Children as often as needed. The house was reconnected to the power network. The roof was fixed, a door was placed at the entrance, and the family received a washing machine, furniture, a fridge, as well as personal hygiene products and meal tickets. The house was then extended, so that at present it looks completely different. In spite of all her difficulties and health issues, Mirela is a very resourceful woman, she is optimistic and there’s always a smile on her face. She is grateful for all the material and moral support she has received and continues to receive, she is in close contact with the Hope and Homes for Children social worker, whom she consults on all home-related decisions. She manages the financial resources of the family as best she can and she thoroughly negotiates any investment. Life is still far from being a walk in the park, but she goes on for the children’s sake. She takes care that they are always clean, that they get good results in school and she teaches them to be responsible, so that they can later on support her. Meanwhile, the eldest daughter has had a baby girl. All the family members love the baby and take turns looking after her. 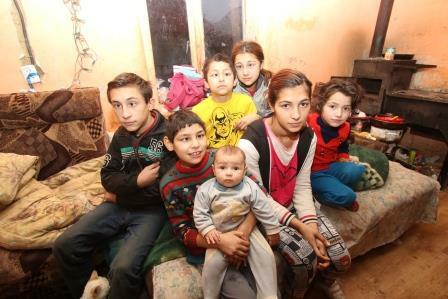 Mirela sees her as her own child, and she tells everyone now that she has eight children.